Perhaps you’ve read some of William Shakespeare’s plays and thought “Hey, that line sounds like it could have come from the Bible.” I know someone who has thought it. And he took his love for all things Shakespeare to write a devotional based on the Bard’s plays and God’s Word. Hostetler provides a narrative explaining how the words of each player relate to truth expressed in the Bible. 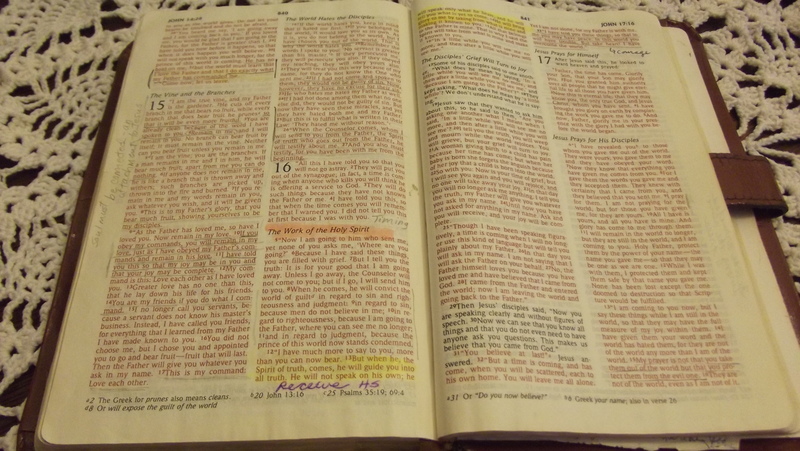 This portion of each devotion includes encouragement and application ideas for the reader. Then the author presents a challenge to act out that truth in daily events. One of the best things about these devotions, in my opinion anyway, is the final section of each one. Hostetler shines here with his knowledge of the Bard and his works. He obviously enjoys sharing little tidbits with us. His book “The Red Letter Life,” is also worth a read. Hostetler is an award-winning author and, so far, I have all kinds of reasons to see why. Reading the Bible through in a year as I had done before, I came once again to the epistles. Though I’d read them previously, this time it occurred to me: These are letters from an actual person to actual people. There’s more than just information here; there’s emotion. I realize that sounds pretty obvious to some people, but now I knew that, in the future, I’d read them differently. The emotion couldn’t have been only on the writer’s part, I thought, because those receiving them must have felt excited to get them. We’re blessed to have Bibles we can pick up daily and read affirming, convicting and truth-filled messages. The original letters to the churches were often circulated and an individual may have heard the letter only once before it was on its way to be shared with another church. How precious they were. How empowered the readers must have been on receiving those letters. Letter writing is becoming a lost art. What a joy to savor words on paper from someone who loves us and hopes the best for us. My realizations led me to read the epistles like I’d never read before, as if they’d been sent directly to me. Identifying with the people for whom they were intended, it was exciting. I received fresh insight, higher understanding, and a new appreciation for the first century Church. These are some practices I discovered for knowing the power of the God’s word. Pray before reading. Thank God for the person who wrote the letter and that it made it safely to you. Pray that the Spirit will provide power to guide you and encourage you. Read from a different translation than you normally use. The wording may be just different enough that you get a better understanding of the scripture. If you underline or write notes in the margins of your Bible, read from one that has no margin notes or underlining so these don’t distract you. If you have none, perhaps you can borrow for this part of your study. If you must write, take notes in a separate journal. Read slowly and deliberately. Because many of us have read the epistles several times, we can be tempted to read through them quickly. However, familiarity with the text can get in the way. If you were reading a letter received in the mail, it wouldn’t be familiar. You couldn’t anticipate the next phrase and you would have to listen with your heart and mind all the way through. Also, since these letters were originally read to groups, try reading aloud. Pay attention to the greetings at the beginnings and ends of the letters. 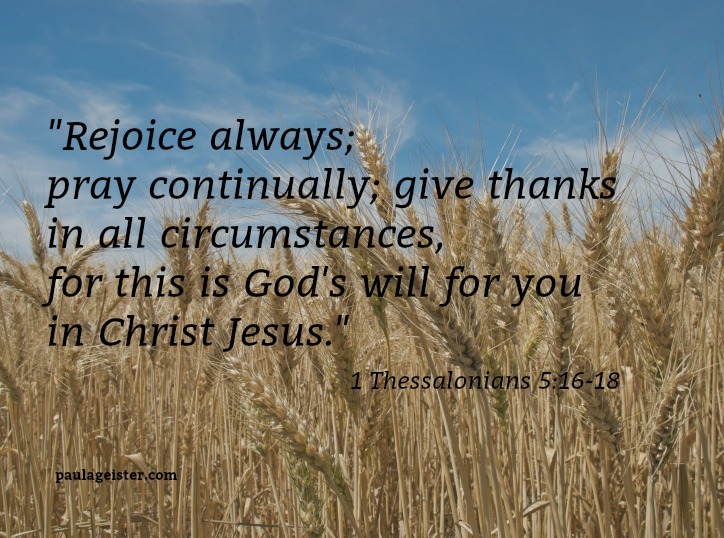 The early believers would have been overjoyed to hear these heartfelt words. Some of those mentioned are people the writer traveled with. The inclusion of their names offers hints into co-workers in ministry. Paul quite often did this. Sometimes the writer also included blessings and prayers. These have power to bless and encourage you as they did the original readers. Pray again when you’ve finished. If God has spoken to you through the writer’s words, thank Him and ask Him to keep revealing truth to you. Confess any sin the Holy Spirit has revealed in your life as a result of reading. Claim God’s promise of abundant life in Christ and share what you’ve learned with someone else. After reading through the epistles this way, try using some of these ideas for reading other passages of scripture. I remember the first time I read the Bible through in a year. I don’t remember which method I used, but I remember which Bible I used. That old battered thing with a broken binding is tucked away in the box it came in. I’ve carried on the practice nearly every year since then using different methods and different translations. It’s a rich experience to read God’s Word every day for 365 days. 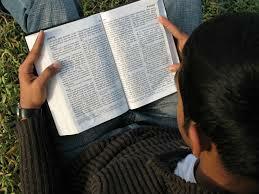 But an even richer experience is to study the Bible as we read. I can get lazy and complete my reading for the day, call it “good,” get up from my comfy chair, and get on with the day. So, to avoid complacency, now I give myself options and when I find new ways to get into the Word daily, I’ve found I don’t necessarily need to read the whole Bible. Especially since I’ve read it through several times. I’m not making excuses; I still believe reading it through is a great idea. Below is a list of 40 days worth of reading to get a good taste of God’s Word. 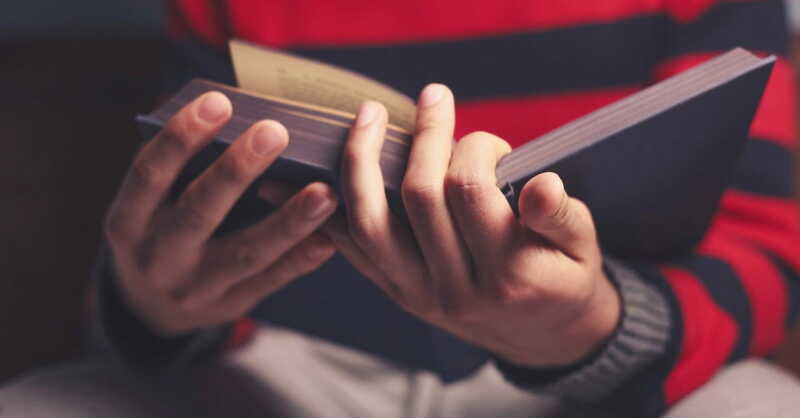 For people who are new to reading scripture, this is a good plan because it starts at the beginning and goes to the end, offering most of the well-known story passages. (Watch for more than a story; there’s much to be learned in “story.”) This plan also covers the ministry of Jesus and basic Christian theology. For someone already familiar with the Bible, well, it’s never a bad idea to review. For anyone, I’d suggest taking notes and studying each daily passage. Keep your notebook handy for writing down questions and insights into scripture. “All Scripture is God-breathed and is useful for teaching, rebuking, correcting and training in righteousness, so that the man of God may be thoroughly equipped for every good work” (2 Timothy 3:16,17). “Do your best to present yourself to God as one approved, a workman who does not need to be ashamed and who correctly handles the word of truth” (2 Timothy 2:15). May the Holy Spirit guide you and God bless you as you dig into his Word. Let me tell you about my little Bible with the bonded leather cover. It was one of the first Bibles I purchased for myself when I finally decided to go back to church and get serious about following Christ. Mom might not have approved of my scribblings in the margins or the highlighting and underlining, but this surely has helped me to make this Bible a Treasure. Obviously, this little Bible has seen a lot of use. In fact, I’ve used it so much and marked it up so much that I’m sometimes stymied to find a passage unless I have this one in front of me. Measuring 6 5/8 inches x 4 3/8 inches, the type is pretty small. That’s okay; I can still read it with my old lady reading glasses. My “treasure,” which is the subject of today’s blogging photo challenge, was with me in a near-fatal auto accident thirteen years ago next month. It has brown stains from transmission fluid on some of the pages. That’s okay too. A couple of years following the accident, I decided I’d better have the strap sewn back on by a local tailor before it fell off. It was hanging on by a thread as a result of the beating it took. When I mentioned that feature to a friend she said, “Kind of like you were.” She knew the details of the accident and how blessed I was to be alive. For this photo, my Bible is open to John chapters 15-17. Chapter 17 is one of my favorite passages in the Bible because Jesus prays for us. To think that Jesus knew he was going to his death and wanted to talk to his Father about us sometimes makes me weep. Those words are treasures to me.